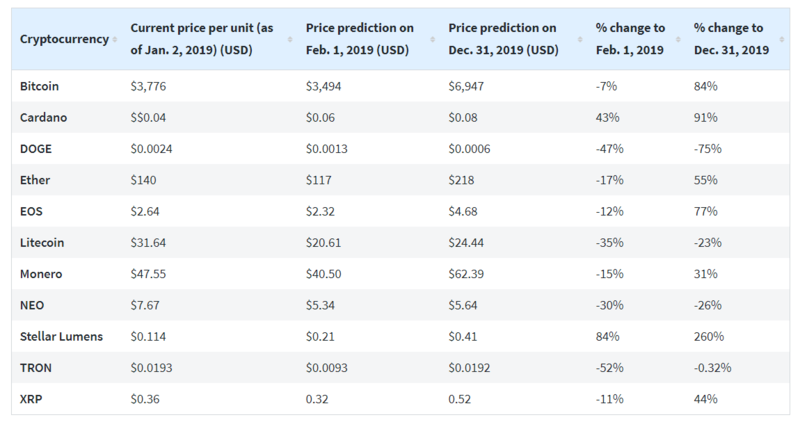 A group of experts in the field of crypto/blockchain and fintech leaders from around the world predicted that 2019 will be a good year for the crypto ecosystem, with significant price growth – albeit well below the figures recorded during 2017. 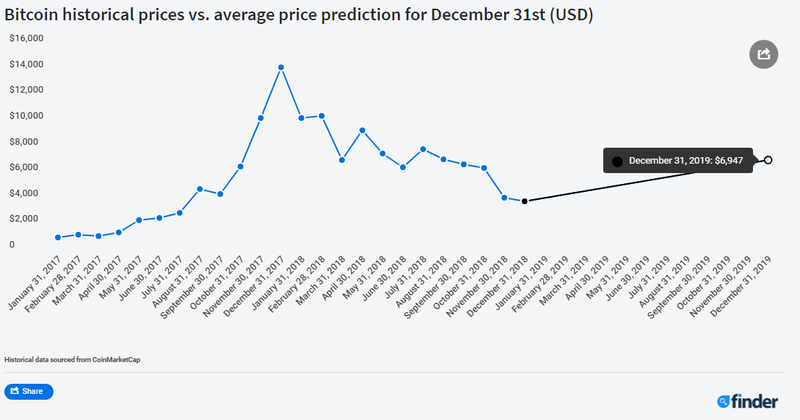 According to a report published by Finder.com, a monthly survey made to a group of 6 experts concluded that most of them have a bullish vision for 2018. However, the forecast for the next 30 days does not seem to be very optimistic. The surveyed experts were Craig Cobb (trader and founder of tradercobb.com), Fred Schebesta (CEO of finder.com and hiveex.com), Jimmy Song (Venture partner at BLOCKCHAIN CAPITAL LLC & instructor at PROGRAMMING BLOCKCHAIN, author of the book Programming Bitcoin: Learn How to Program Bitcoin from Scratch), Alisa Gus (CEO of Wishknish), Ben Ritchie (COO of Digital Capital Management and CEO of Bitcoin Advisors) and Joseph Raczynski of joetechnologist.com. For the month’s survey, panelists opined on a set of 11 cryptocurrencies. Among them are eight from the top 10 cryptos by total market cap (except BCH and BSV) and three cryptos of special popularity in the community: XMR, NEO, and Dogecoin. 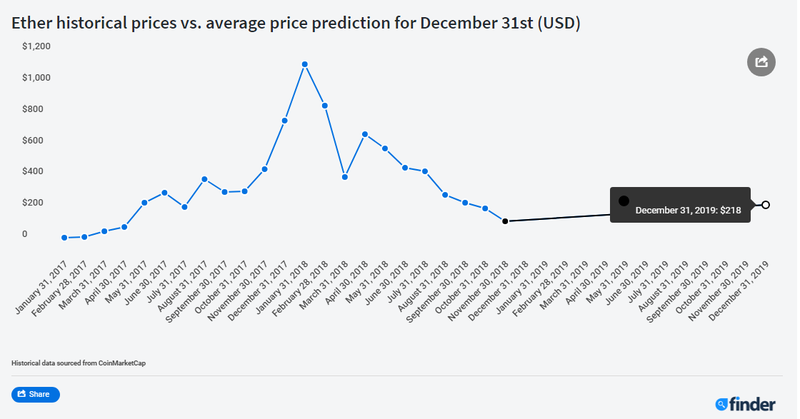 The group of panelists expects a bullish yearly performance (imagine a candle that represents the price fluctuation during a year) in 8 of the 11 consulted cryptos; however, their expectations for February are quite bearish in practically all cryptocurrencies, except for Stellar Lumens and Cardano. 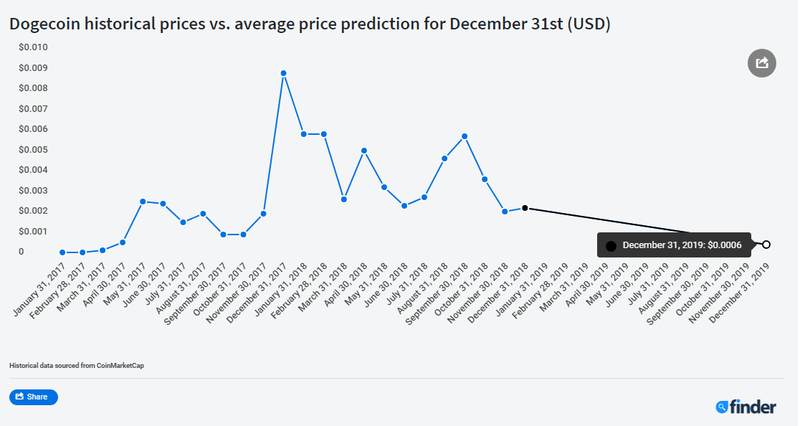 The case of Stellar Lumens (XLM) is curious because although there is no information or event that generates such high expectations, all panelists except for Jimmy Song (who is bearish in everything but BTC) and Craig Cobb were quite optimistic about the price performance of Ripple’s direct competitor. 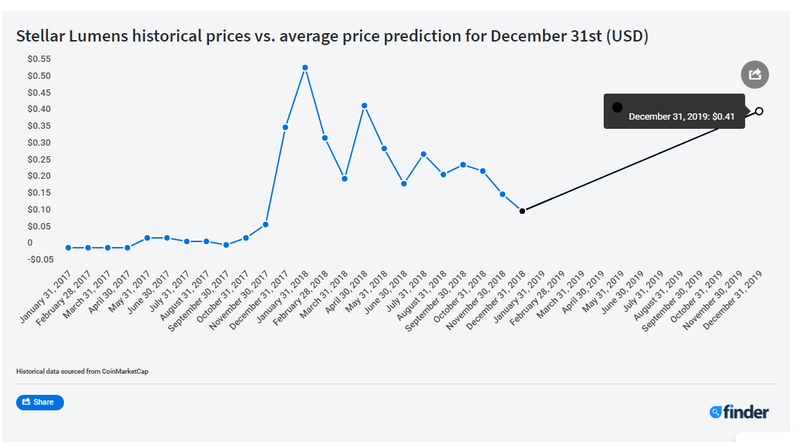 Regarding Bitcoin, all analysts were optimistic about the price in the coming months, with the exception of Jimmy Song who talks about values close to 2103 USD by the end of February and Fred Schebesta who predicted a price of 2160 USD. Within a year, they were all bullish except Mr. Schebesta. 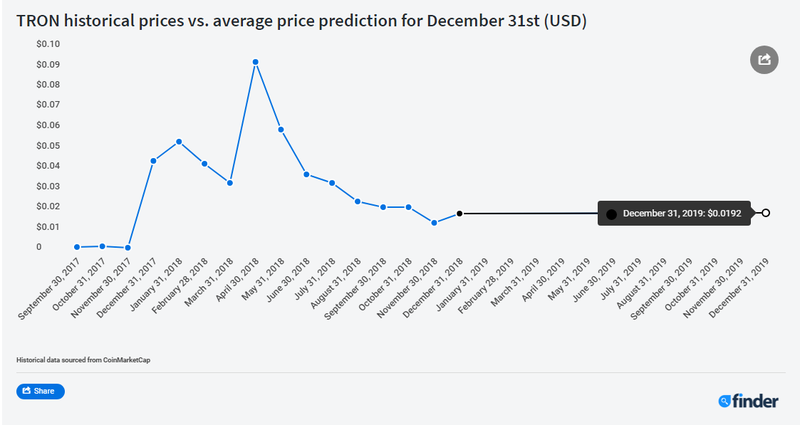 As for Ether (ETH), 4 of the six panelists showed a bearish view for the next month with an average prediction of a 17% decline over the next 30 days; however, all but Jimmy Song and Fred Schebesta were bullish over one year with an average prediction of 55% growth (218 USD per ETH). Craig Cobb: BTC, ADA, ETH, XLM. Alisa Gus: BTC, ETH, Knish. Joseph Raczynski: At one point I have owned some of the top 10. Bitcoin (BTC) Price Watch: Could This Be a Reversal Pattern?